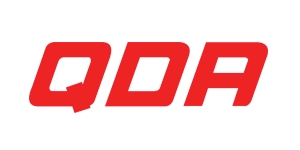 INDESIT Fully Integrated Dishwasher - Q.D.A. 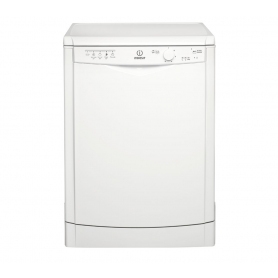 The Indesit DIF04B1 Full-size Integrated Dishwasher can take care of the hard work as it features adjustable racking, a range of handy programmes and boasts an impressive A+ energy efficiency rating. 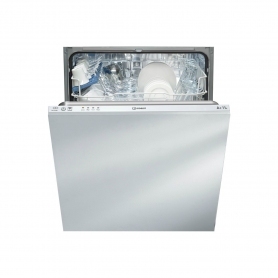 No matter what you need to clean, the large 13 place setting capacity of the DIF04B1 means you'll have plenty of space to load your dishwasher with plates and cutlery. You'll be able to keep energy and water consumption low thanks to the Eco cycle, which provides fantastic results whilst reducing consumption - it's great news for your energy bills as well as the environment. When you've got tough dirt that needs to be removed, the Intensive mode offers higher performance washing to help to remove even the most stubborn marks and food debris. There's also a pre-wash feature that runs a preliminary wash to help to remove tougher stains from your items. With adjustable upper and lower racking, you'll be able to adjust the upper and lower racks to easily arrange pots, pans and plates within the DIF04-B1. Cutlery is easily stored in the cutlery basket whilst it is being washed. The natural drying system dries your plates effectively. If the worst happens, you won't need to worry about your kitchen being flooded - the anti-flooding protection blocks the water supply and prevents leaks, so you can be sure your kitchen will be protected.